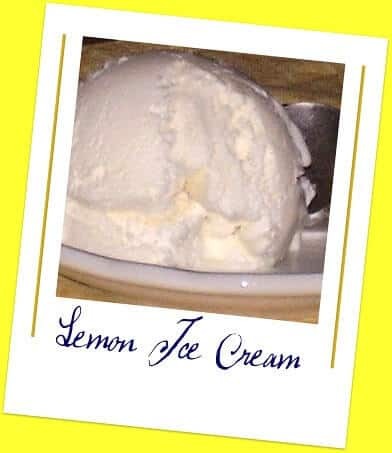 This easy lemon ice cream is crisp and refreshing, full of bright lemon flavor but with a sweet creaminess. It’s a flavor you don’t find often — but you won’t care when you can make it yourself. Lemon ice cream isn’t something you see everyday, and it’s rare to find it on your grocery store freezer shelves. I don’t really understand why — it’s one of my favorites. This super easy lemon ice cream is super-fatted and creamy like premium ice cream and it’s got an extra blast of lemon flavor from crushed lemon drops that are mixed right in. You can add white chocolate chips if you like them. Although it’s great plain, imagine a scoop of this melting over that warm blueberry pie you just took out of the oven. You’ll never want blueberry pie with vanilla ice cream again. The following is an affiliate link. If you click and buy something I will get a small commission which is used to keep the blog up and running. Thank you for being part of Restless Chipotle! If you happen to need an ice cream maker this is the kind that I use because I think it gives the ice cream a better texture and it make a lot at once. I hate having to make those small batches of ice cream in the little electric makers. This makes 4 quarts. Combine sugar, lemon juice, rind and the candy. Whip cream lightly to soft peaks. Add lemon mixture to cream, gently folding in. Combine gently but thoroughly and pour into ice cream maker. Let the ice cream ripen 24 hours in freezer, tightly sealed.